Your donation empowers SCB Chapters to advance the science and practice of conserving Earth's biological diversity at the local level. SCB has nearly 40 Chapters located across the globe. Some focus their conservation efforts on a single city, jurisdiction, or university campus, while others cover broader geographic areas from state to national levels. 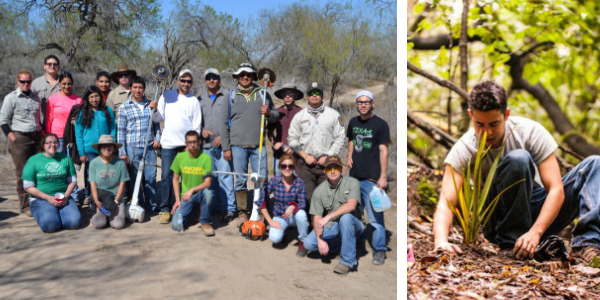 Chapters engage in on-the-ground conservation such as habitat restoration, policy action, professional development, mentoring, and education and outreach. Chapters implement the Society's mission and goals on a local level to achieve real conservation results. Chapters are an incubator and training ground for future leaders in the field and an agent for conservation action at the local level. From policy initiatives and leadership workshops to habitat restoration and beach cleanups, your support helps Chapters achieve results at the local level.